Snippets of Jack: "Princess . . . Amenrah? No. Ah, I remember, Princess Amenirdis"
"Princess . . . Amenrah? No. Ah, I remember, Princess Amenirdis"
So we've talked about Esmeralda from The Price of Freedom but I'm not sure if we've talked so much about the other leading female character from the novel: Amenirdis. She's actually in the story just as much as Esmeralda is, meaning there's a lot to tell about her. 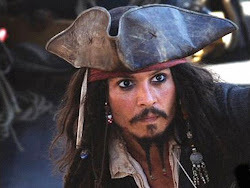 I'll start with her background before she sets forth on the Wicked Wench with Captain Jack Sparrow. Amenirdis was the first child of the Pharaoh Taharka and Queen Tiyy, the rulers of the kingdom of Kerma. Kerma is a hidden island of the west coast of Africa. It's hidden away from the rest of the world with a magical illusion. The illusion comes from a powerful jewel, the Heart of Zerzura, that is hidden at the center of the a labyrinth under the temple in the shining city of Zerzura. According to legend, the lion god, Apedemak who's the guardian of Kerma, gave them the jewel to protect them. How the people of Kerma come to this hidden island, you might ask? Well, Amenirdis' ancestors used to live in Kush, a kingdom near Egypt, just south of the third cataract of the Nile. The capitol of Kush was Kerma. Does that name sound familiar to you? There was a big temple for the god, Apedemak. Thanks to Mark Dingemanse for creating this map! Shabako also leaves the island to find his father. Keep in mind that Shabako is only 14 when he runs away. Pretty rowdy teenager! But like his father, he brings worry to his family when he doesn't return. Shabako is instead captured by slave hunters and sold into slavery. 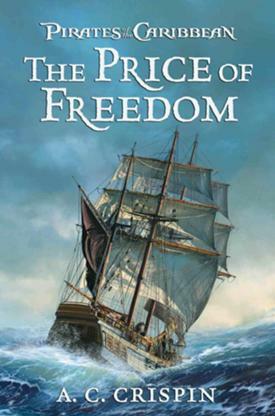 He survives the dreadful voyage across the Atlantic Ocean and is forced to work on a cotton farm in New Avalon. Only the women of the family are left to rule, Amenirdis and Queen Tiyy. So then Amenirdis leaves also! But she doesn't go aimlessly searching the globe for her lost family members. Instead, she leads an expedition back to the ancient kingdom of Kush, where she intends to visit her extremely distant family in the city of Kerma and offer a sacrifice to Apedemak. "The princess became convinced that if she went to Apedemak's most anceint temple and prayed there, the god would grant her knowledge of her brother and father's fate." She wants to unite the people of both kingdoms of Kerma and pray to the god in his original temple. It's good to have a plan! But that plan get's kinda ruined when they find that there's nothing left in Kush but ruin, and then they all get shot or captured by slave hunters, and Amenirdis is forced to become an ugly old hag. Sounds confusing? It isn't really, and it shall all be explained soon!